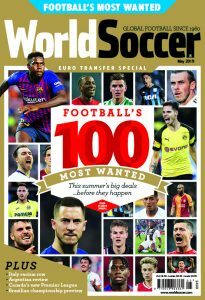 World Soccer: Who are your favourites to win the World Cup? How do you rate your group opponents? Spain are currently the number one team in the world, tremendous midfield, extraordinary attack, outstanding individual players who also play as a team. Some people told me that Spain are not very strong at defending. Well, that’s hard to believe since I do not remember any team that was able to put pressure on the Spanish defence, all their opponents have too much defending to do themselves. Chile are a very strong team as well, superb technique, speed, ball control – we got a taste of the power of South American football in March when we played Uruguay and went down 3-1. Honduras are the team that I did not know very well when they were drawn in Group G with us. Since then, I have studied several DVDs of the team’s most recent games. All I can say is: anyone who thinks that Honduras will be unable to stand up against Spain, Chile and Switzerland is very much mistaken. 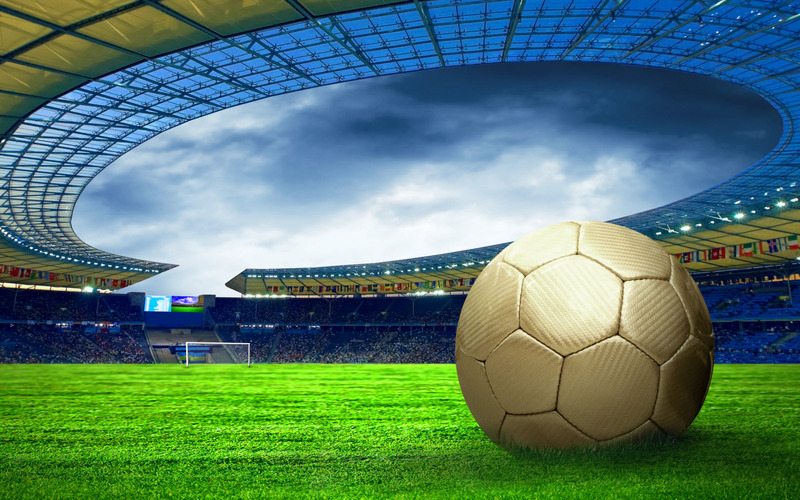 Do you prefer being with a team such as Bayern Munich, where you are under pressure to win, or with an underdog such as Switzerland, where you are not expected to win the World Cup but could cause an upset. What are you talking about? The expectations in Switzerland for the 2010 FIFA World Cup are very, very high. Having taken part three times in a row in final tournaments the Swiss national team has spoiled the supporters a little. They forget that Switzerland is still a small country in football terms and and must make a big effort to stay at a high level. Yes. The very next game is the most important one – and we must do everything we can to win. Carlos Alberto Parreira once said that, when he was coaching Brazil, he felt he was a selector rather than a coach because he only saw his players four or five times a year. Do you feel the same way? How difficult is it when you have players based with clubs in several different countries? On a personal level, you have won seven Bundesliga titles and two Champions Leagues titles. How does taking part at a World Cup compare? career? The big difference is the rhythm of games but still there is so much pressure on a coach. I am still hungry, I still hate defeats, I still long for wins, there is no substitute for victories. What do you think of the International Football Association Board’s recent decision to reject the use of technology to help referees? Do you agree with Mr Sepp Blatter’s opinion that football must retain its human element and that players and coaches must learn to accept refereeing mistakes? I fully agree with Mr. Blatter. All I suggest, concerning technology in football, is to fully concentrate on getting clear decisions about whether the ball has crossed the goal line or not. Goal or no goal, this is the crucial question that needs to be answered clearly, this is crucial. Would you risk fielding players who have not been in regular action for their clubs during the season? Is it frustrating for you as the Nati coach when players who may be important to do not play regularly for their clubs? This is something which is always decided on the spur of the moment. Let me give you the example of our defender Philippe Senderos. He lost his place as a key player in the Arsenal team, but he kept on training in London, which means to a high standard. Thanks to his talent he is still able to play international games for Switzerland. We don’t have a choice like Germany or England. But, of course, I’d love very much to see him play every game for Everton now. Nothing is more important than playing in competitions. Do you think you will include any of the players from the under-17 team who won the World championship in Nigeria, such as Nassim Ben Khalifa? No. It was superb to win this title, a great achievement for a small country like Switzerland and proof that Swiss F.A. have got the message that they have to do much more, work much harder than other countries. On the other hand, these players are very young and not even key players in their clubs. Ben Khalifa is on his way at Grasshopper-Club Zurich. That is the way they have to go if they want to find themselves being capped by the national coach. There is some concern about the crime in South Africa? Are Switzerland taking any special precautions. Will the players be allowed to go out unescorted? We have full confidence in FIFA and will follow all their advice. Finally, a question about the Switzerland under-17 team. Twelve of the players in squad still have the possibility of playing for other national teams through their parents. Are you worried about this? What can Switzerland do to make sure they don’t eventually play senior football for Tunisia, Bosnia, Serbia and other countries? I am worried, but we are in current contact with all of these players. They know very well how well they were educated in football by the Swiss F.A. We do everything we can to convince them to play for Switzerland, but there are a lot of influences around them. That is why it is so important that Switzerland keeps qualifying for those big tournaments. Not all of the nations you mention can give proof of similar success.